1. This is an evening show. So, please cut your roses early in the morning when they are highest in food reserves which will help them to maintain their strength. 2. Place the cut rose in a container of hot water. Always use clean, sharp pruners to prevent damage to the rose canes or to avert spreading disease when you cut a rose. This will not affect your cut flower. But, you don’t want to harm the plant in the process of cutting. 3. Don’t select a bud, as it may not open in time. The chosen rose should only be 1/3 to 1/2 open as a flower in full bloom may not last long. 4. Try your best to have 2 to 3 sets of leaves on the cane when storing. Once you transfer the rose into the exhibit vase, however, remove all leaves below the water line to prevent the water from turning foul. 5. If possible, please fill out all Entry Tags prior to arriving with your exhibits, as judging begins promptly at 7:00 pm. 6. Identifying the rose is not mandatory. But, do so, if you can, to benefit everyone, as the Show is educational in nature. 7. Let’s have some fun and make it a Rose Show to remember! Please see the 2016 Rose Show Schedule for Regulations and Exhibit Classes. Be sure to bring your roses to exhibit at the Show. Contact Ellen Spencer (705-739-9101) or Edna Caldwell (705-721-0484) if you have any questions. We are pleased to announce the “Return of the 4 Amigos” to entertain and instruct the audience while the Rose Show is being judged. Not only will these gentlemen participate in the exercise with flair and fun, but everyone attending will have a visual lesson in how to create a lovely floral design for their home. Then, at our Rose Show in 2017, you will be skilled enough to enter in our Rose Show’s “Decorative Division”, Novice Section. Be sure to attend this great artistic event at 7 pm. If time permits, there will be a Q & A time to answer any rose-growing questions you may have encountered this year. Lucky Draws will be held and light refreshments served. Dale Lovering will have some miniature roses for sale at this time, as well. 8:00 pm: Rose Show opens for viewing. What a fundraising event this was! A total of 150 potted Rose bushes was purchased and picked up by Society Members from two rose growers in St. Catharine’s and Niagara-on-the Lake. Pre-sales orders for 34 shrubs and one Saturday at three Farmers’ Markets left us only with 15 to sell. By the second Saturday, only nine roses were left, looking for a place to grow. Thank you, everyone, who participated to make this a successful event. We also thank all our Members and customers for your support. Take good care of your purchased roses and we hope to see you all back next year. To our fabulous Sales Team – keep your sales technique sharp. Rose bushes are soon to be on order for the 2017 Market Sales. Maria and Jack Graves have invited HRS Members to visit their garden from 6:30 pm until dark on Tuesday, July 12th. They are located at 99 Blake Street, Barrie on the lake side of the street. Cars should park around the corner, one house to the east, on Rodney Street. Please bring a lawn chair, snacks to share, and soft drinks. Don’t forget your camera and the bug spray! A “Members-only” event, this is a chance to see the English-style gardens that Jack has created around their home. Words cannot describe their beauty. You’ll have to visit and see for yourself! 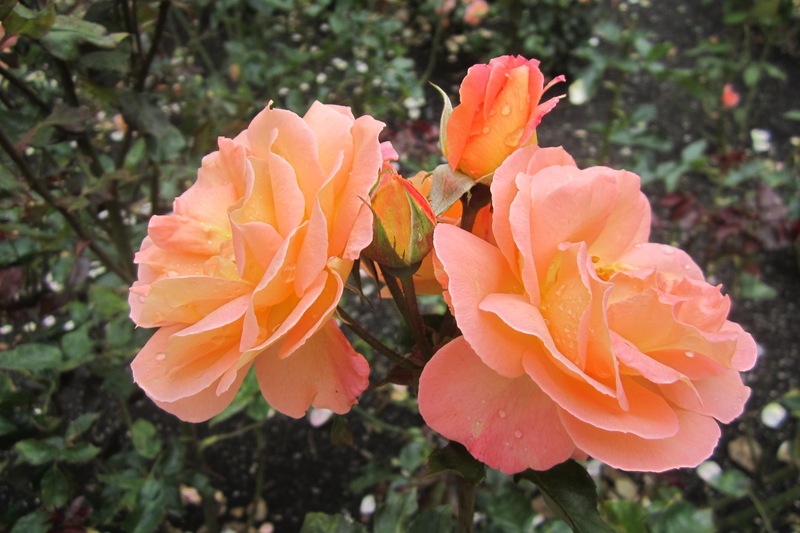 The Huronia Rose Society invites our Members to enter the Photo contest.  Photos taken in Yr. 2015 or Yr. 2016 may be submitted except for entries from a previous Huronia Rose society photographic competition. Any type of camera is permitted.  All photos must be 4”X 6” colour prints. Society greeting cards. Digital access or negatives should then be supplied. Images will be judged for originality, composition, overall visual impact, and artistic merit. Program at 7:00pm and Show opens at 8:00pm See more information earlier in this newsletter.